From downtown Bozeman, turn north on Rouse Avenue, which takes you all the way to Bridger Bowl. 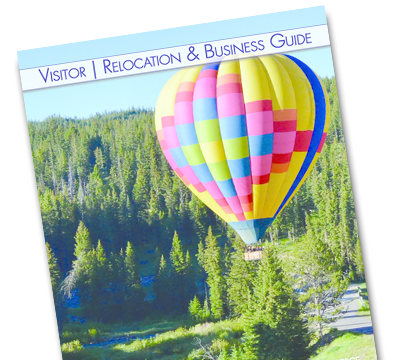 As you get north of town, the road will curve east and turn into Bridger Canyon Drive, which takes you along the east side of the Bridger Mountain Range and right to the ski area. Just past mile marker 15, turn left into the Bridger Bowl Road. The views on the way are spectacular, and if you’re lucky, you might see some elk. We suggest leaving early to avoid a line of cars as you get closer to the resort, especially during ski season. Most importantly, drive with caution under icy conditions. Take your time and arrive safely. To help cut down on traffic on Bridger Canyon Road and free up parking spots, Bridger Bowl offers two free shuttles from town. Both run primarily on the weekends when the mountain is the busiest. The Kid's Bus picks up at McDonald's on Main Street and at the Gallatin County Fairgrounds. It also runs during school holidays, except during Christmas Day. The Park N' Ride Bus stops at the Student Union Building at Montana State University and at the Gallatin County Fairgrounds. The bus schedules are posted on Bridger Bowl's website to help you plan your visit. If staying at a hotel, we recommend inquiring if the property offers its own shuttle service that can drop you off at the fairgrounds to board either of these free options. In 2016 Uber launched in Montana, making it much easier to get around without renting a vehicle. Riders bringing their own skis or snowboards might want to try UberSKI, which offers vehicles equipped with either a ski rack or a truck bed. Expect a minimal pickup fee on top of regular Uber rates, and be sure to double check availability as service is limited in some areas. We hope you are looking forward to your visit, as Bridger Bowl is ranked by Tripadvisor as one of the Top 10 things to do in Bozeman. There is some great skiing to experience during the day and some great restaurants and entertainment to experience at night. Once you arrive, you'll find a an unforgettable ski town with a fun, energetic vibe. 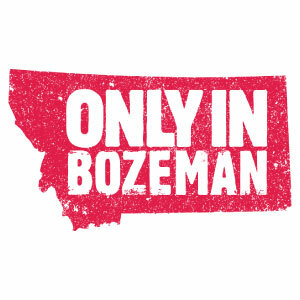 We also recommend taking time to visit Bozeman's downtown district for its rich heritage and small town charm. It's also home to Montana State University, and is not to far from big-city amenities. Look for the "Blue Light" above the Historic Baxter Hotel. When it's flashing, you know the town has received more than two inches of snow in the past 24 hours! And, don't forget to try it's famous bison steaks and local coffee, which is perfect before or after your time on the slopes. Make your travels plans now, and we'll see you in Bozeman and Bridger Bowl soon!